Gotham "Star-Quad" cables are the most advanced microphone cables presently available. 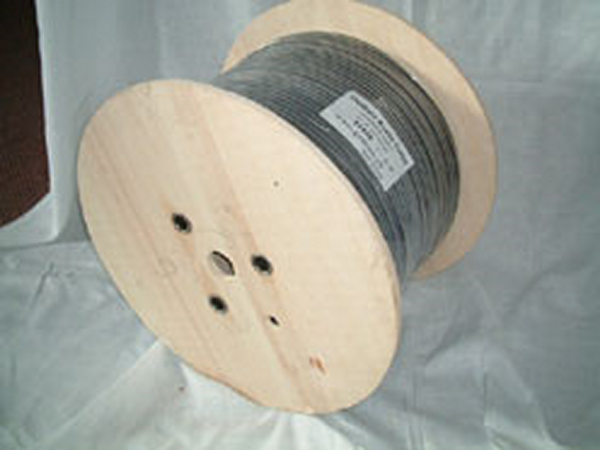 We have combined an ultraflexible PVC-jacket, low capacitive PE insulation, "double Reussen shielding" and quad (4-conductor) construction for a truly professional cable at an affordable price. The "Star-Quad" concept is known and recommended where the RF-rejection is the most important factor and where very long cable runs are needed. As we use each 2 conductors for low and high signal, we reduce the signal loss by 50% and due to the offset of the incoming RF-signal by the way the 4 conductors are twisted, the RF-rejection is over 130dB (25 kHz). Weitere Aderzahlen sind vorgesehen! Fragen Sie nach News.